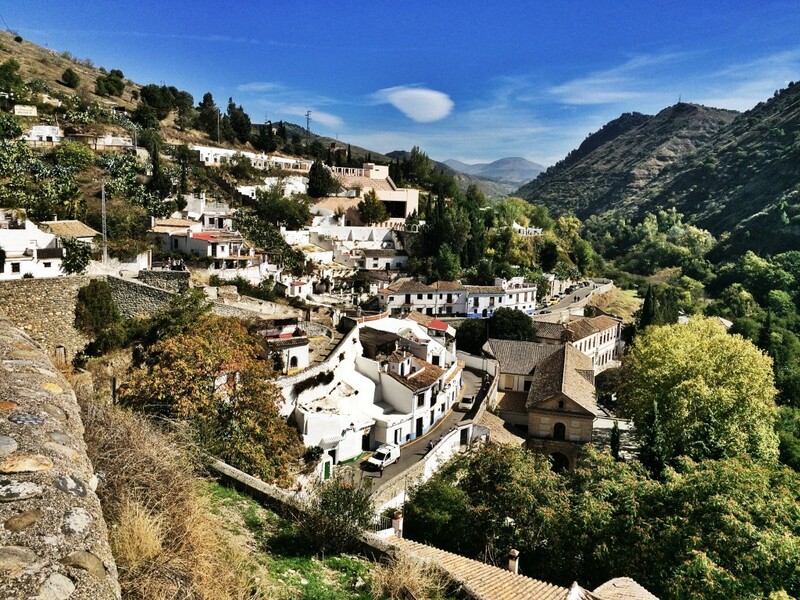 5 Reasons Why Ya Gotta Go To Granada » Lavi was here. One of Granada’s main attractions, this Moorish palace and fortress is an extraordinary sight. I caught my first glimpse of the Alhambra from Mirador de San Nicolas, one of the most popular viewpoints in Granada. The beauty of the palace and its grounds is truly breathtaking. I found myself snapping photo after photo at every viewpoint, inevitably left with countless photos that look exactly the same. Alhambra’s presence is so prominent that I couldn’t help myself! Although tickets to enter Alhambra must be bought in advance, I was lucky to snag a ticket through my hostel to tour the palace the next afternoon. 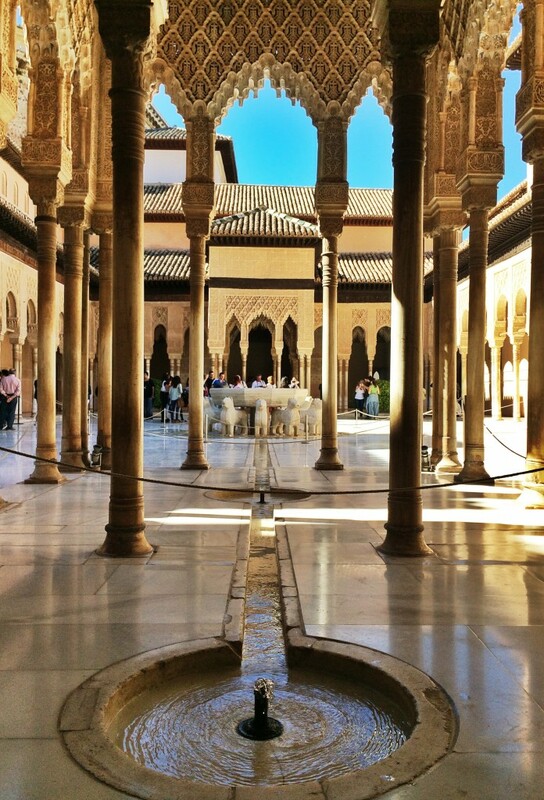 I marveled at the Moorish architecture as I meandered through the corridors and elegant courtyards. The details of the arabesque inlays in the arches, columns, and walls are so intricate that it seems impossible they were carved by the hands of someone centuries ago. 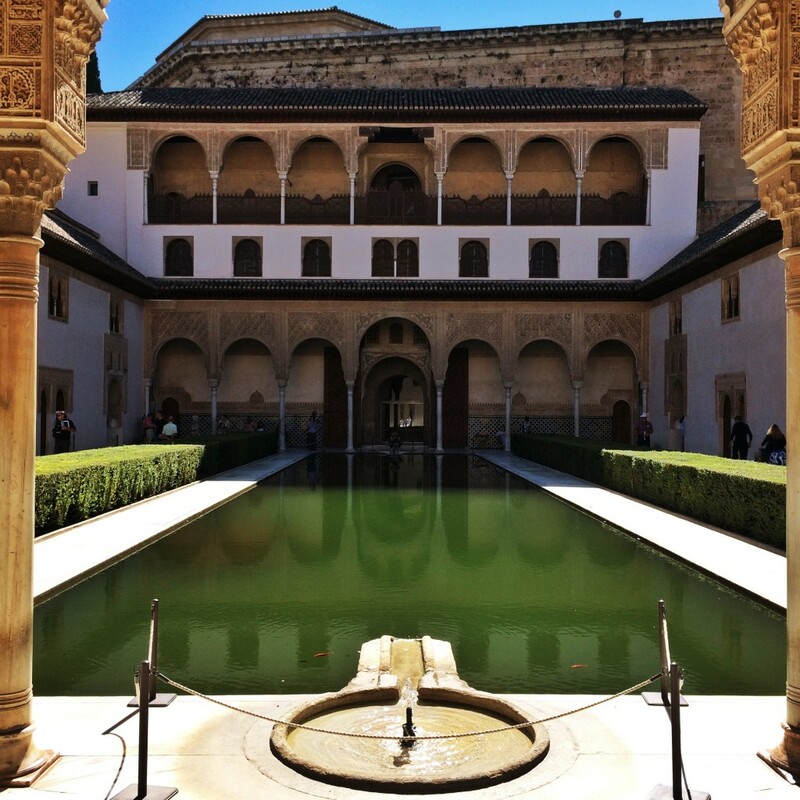 My favorite courtyard was the Patio de los Arrayanes (Court of the Myrtles), which is probably an image you’ve seen if you’ve ever searched for images of Alhambra. The reflections of the arches in the pool of water make for some spectacular photos! The Patio de los Leones (Court of the Lions) was also a stunning display of architecture. Split into four quadrants by water channels representing the four rivers of Paradise, the courtyard boasts 124 columns and 12 lions representing the 12 tribes of Israel. 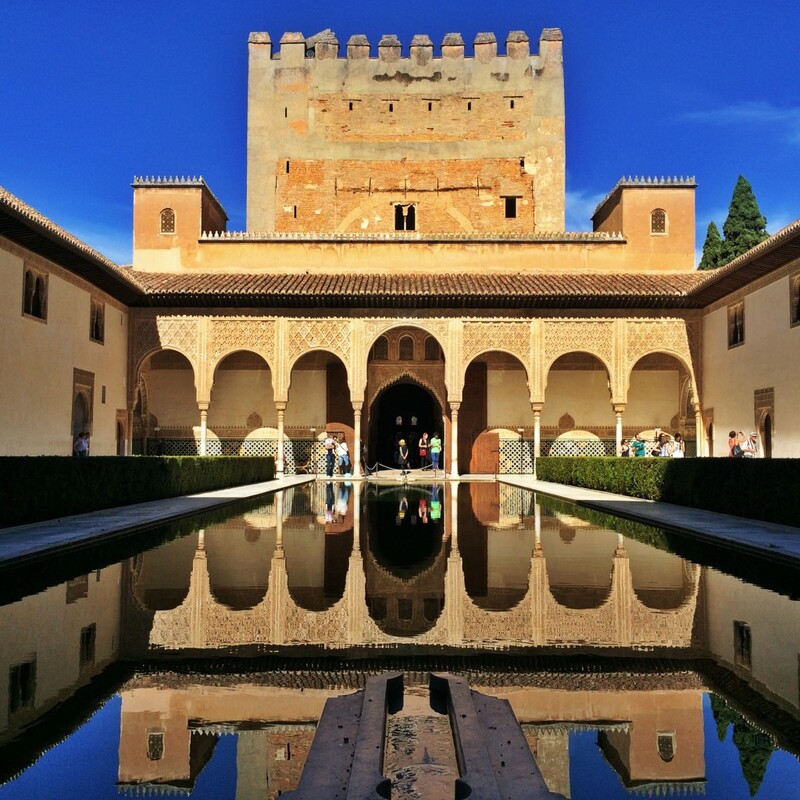 Don’t forget to stroll through the perfectly manicured gardens of Alhambra called Generalife. It’s really peaceful and beautiful when you’re not weaving through throngs of tour groups! Tapas have to be one of my favorite things about Spain, and Granada is famous for its tapas. As a budget traveler, I can’t say no to cheap (free) eats! The rationale being that patrons are more likely to buy another drink after munching on a savory tapa, tapas culture is just amazing. I tried almost everything on the menu at Poë (my favorite was the skewer of grilled pork and pineapple), ate an interesting jamón and bagel sandwich (so uncommon and so awesome to be eating a bagel in Spain!) at La Antigualla, and delicious stir fried noodles at a Chinese tapas restaurant, Café Bar Estrella Oriental Feng Shui. Who knew Chinese food could be so good in Spain? I wish I had more time to explore the many popular tapas restaurants in Granada, but at least if leaves something to return for! Roaming the cobblestone walkways of Granada’s historical neighborhood, Albayzín, I felt like I was back in Turkey. The aroma of tea and spices filled the air and colorful lamps, harem pants, and flaky sweets lined in the windows of every shop. Instead of eating a normal breakfast, I popped into the shops twice to sample the sweet baked goods of this neighborhood. Andalusia’s Moorish influence is ever-present in Albayzín; it looks completely different from the rest of Granada. Declared a world heritage site, the buildings are required to maintain their white façade. 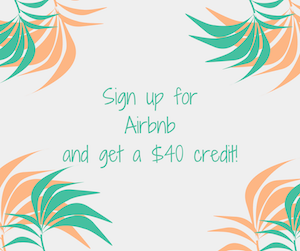 I really felt like I was in a Middle Eastern country, and it motivated me to start planning for Morocco! 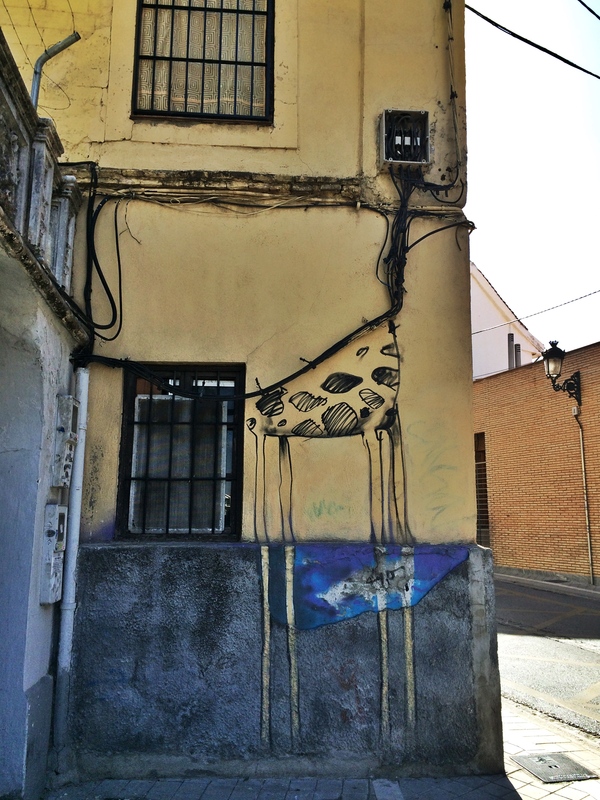 Unbeknownst to me prior to my arrival, graffiti and street art is very popular in Granada. I learned about the famous street artist El Ninõ de las Pinturas (The Boy of Paintings) on a historical walking tour of the city. His unconventional murals are impressive to say the least. It’s really amazing that he uses spray paint to create the vivid, detailed imagery. How cool is this giraffe?! Laced with symbolism and elusive phrases, each mural we stumbled across was exciting and inspiring. 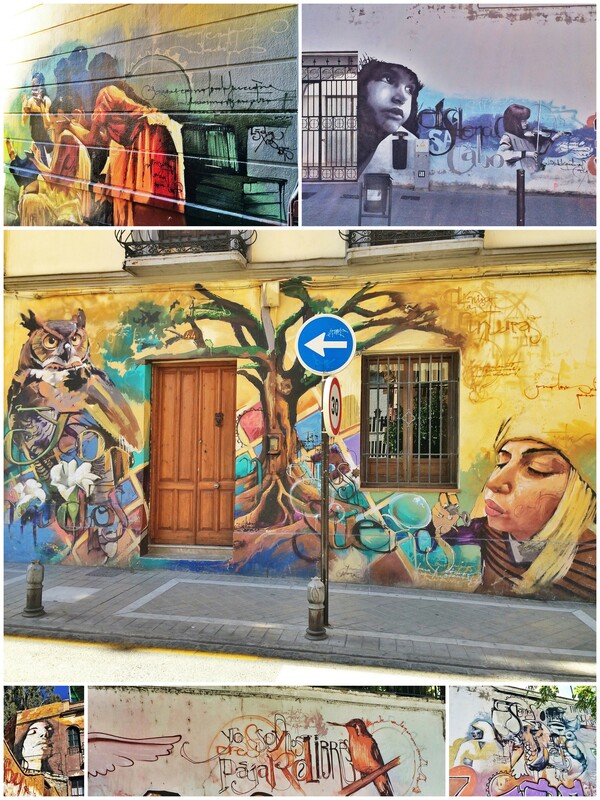 And El Niño de la Pinturas is not the only graffiti artist in Granada; many streets are lined with the works of many different talented artists. 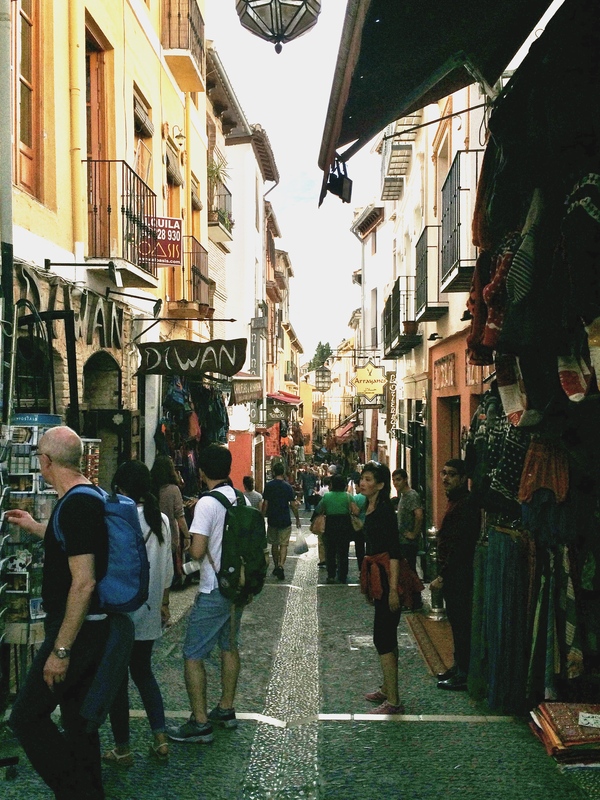 Did you know that Granada is known for its gypsy community? Gypsies, Romas, gitanos, I’m not exactly sure what the politically correct term is here, but long ago, Romani people settled in Sacromonte, a neighborhood situated on a hill overlooking Alhambra in Granada. 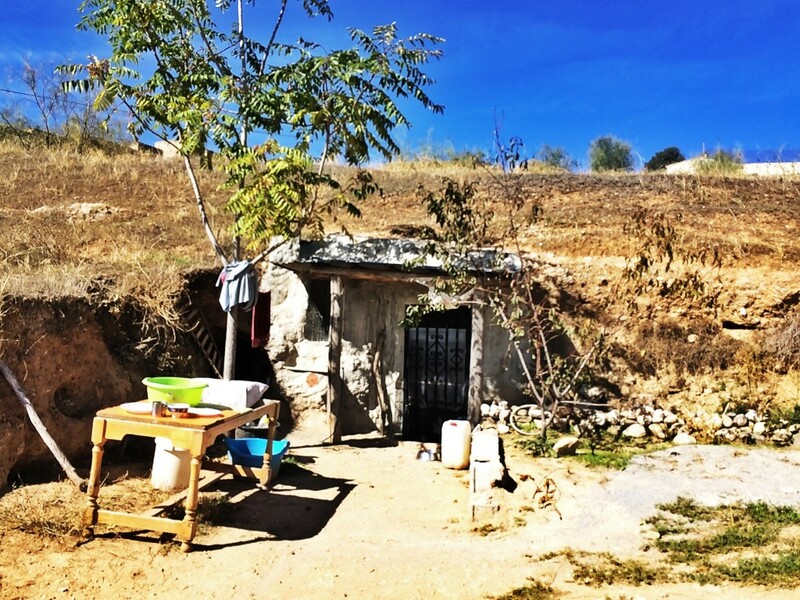 Nowadays, international travelers and modern-day gypsies set up camp in the “caves” of Sacromonte. While some caves lack electricity and running water, others use solar panels to keep appliances working. Most gypsy cave inhabitants use outhouses shared with neighbors instead of bathrooms. The gypsy community is so different from the life at the bottom of the hill in Granada, it’s certainly worth a visit! 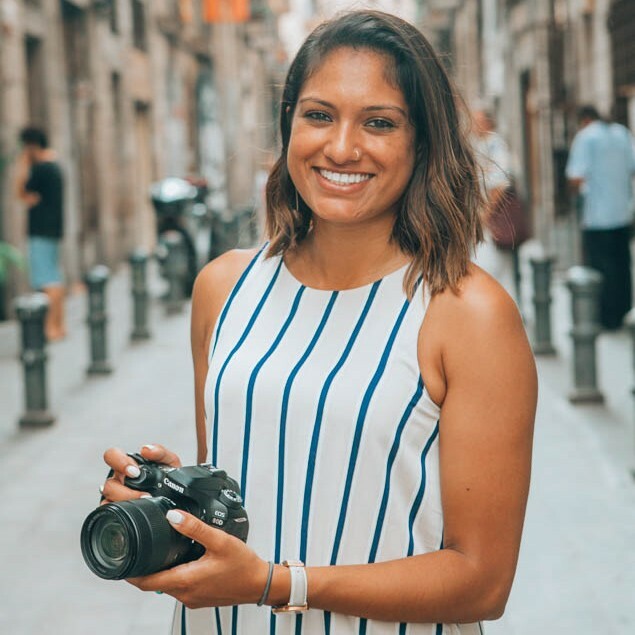 There are a number of things I didn’t get a chance to do while in Granada, such as hike the nearby Sierra Nevada mountains, but I loved Granada so much that I don’t think I can stay away for too long! Trust me, when you go you’ll feel the same way, too. 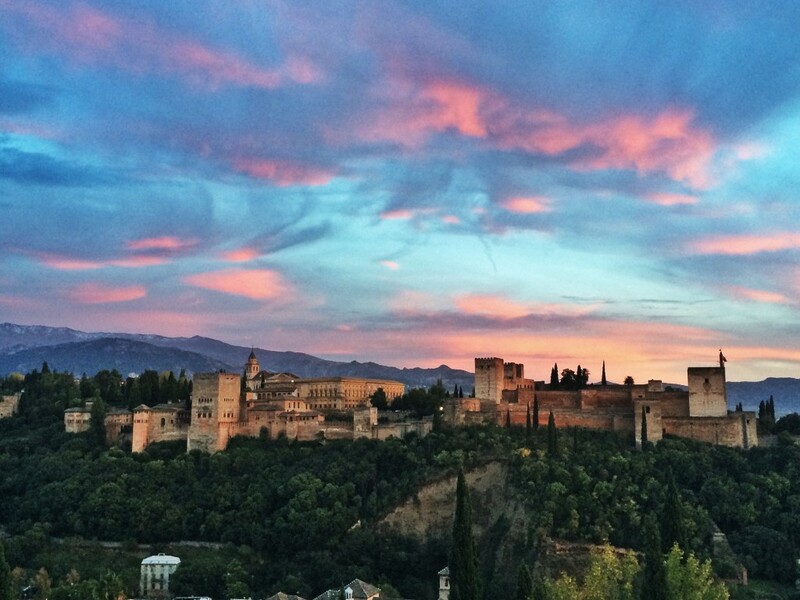 Have you ever visited Granada? 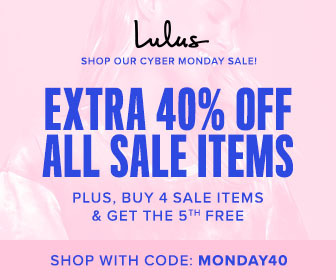 What are your recommendations? Beautiful pictures! 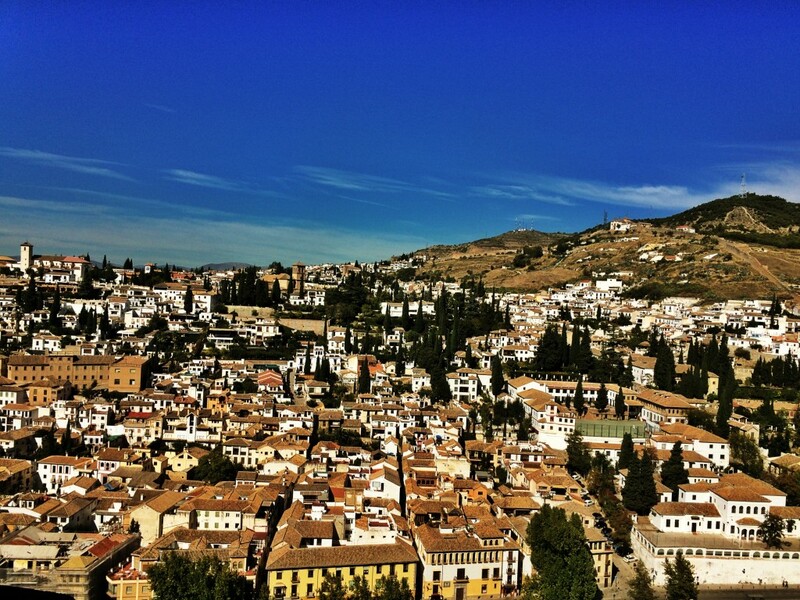 I’ve never been to Granada but after reading your article I want to go!! P.S. The giraffe is very cool! I haven’t visited many other parts of Spain yet but Granada is so unique and different from what I’ve seen so far in Spain! You really need to visit sometime! 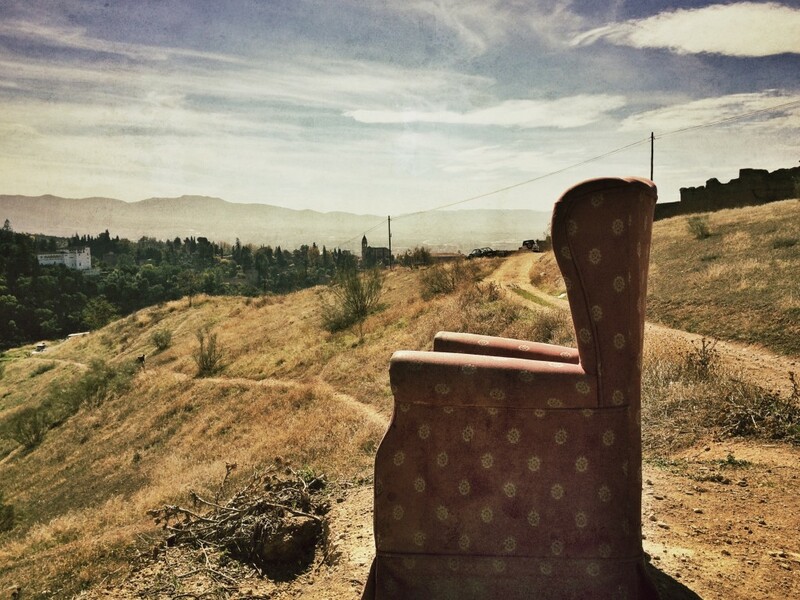 Pingback: Through My Eyes: October 2014 - Lavi was here. Pingback: Living Abroad Does NOT Equal Traveling - Lavi was here.